Why was Chiron half horse rather than half goat, ram, llama or turtle? Here’s one possible answer from a rich site on symbolism, The Horse Archetype in Poetry and Anthroposophy. In the poem, "Death of Myth-Making" Sylvia Plath associates the horse with human thinking. The horse is a swift airy vehicle, wafting thoughts instantaneously to the mind of the rider. Reason and common sense allow us short-term security but force us to think in a chain of endless causes and effects. The capacity to think creatively with inspired awareness is lost and the direct cognition of the world of ideas, the source of all myth, is replaced by sense-bound thinking. The subject-object dichotomy separates us from the rest of the cosmos. This paragraph speaks to one of the most prominent features of the Chiron archetype—a being that is both instinctual and intellectual. He is both-brained, able to think creatively and objectively. Chiron is a balanced being. Hope starts in the mind. My theme when celebrating this Autumn Equinox with my Solsisters was “Harvest of Hope.” With the Cardinal T-Square squeezing the last drop of change out of us like lemons in the juicer, we have to hold onto the idea that hope is at the end of all this disorientation and disconnection. Hope doesn’t come from the rational mind. Chiron was wounded, shot accidentally by Hercules with an arrow dipped the poison of the many-headed Hydra. Since he was the son of Chronos, an immortal, he could not die. From where he stood with pain that never ended from the moment of the injury, it’s hard to fathom how Chiron had the optimism to face each new day. Chiron’s story is a testimony to the true grit of his horse half archetype. He lived on, soldiered on and taught on. Chiron never gave up on life and helping others, even without a suggestion of a cure or way out. Ultimately, Chiron was willing to suffer for another, namely Prometheus. Because he stole fire from Zeus, Prometheus was doomed to nightly torture by an eagle that pecked out his liver. Every morning his liver grew back to ensure a continuous cycle of suffering. There they were; Chiron and Prometheus—both suffering without any hint of let-up. Yet through creative thinking Chiron finally found his “out.” He offered to take the place of Prometheus. No skin off Chiron’s nose; he was suffering himself anyway. He figured why have two people suffer when one would do? The gods were so impressed by this act of altruism, they released Chiron from the bonds of his immortality, allowed him to die and raised him to the heavens in the constellation Centaurus. (Some versions of the myth say it was the constellation Sagittarius.) When we’re willing to do for others, we find the most satisfactory resolution to our own life issues and often face the death of who we used to be—a chronically suffering soul without solutions. The horse half of Chiron has often been associated with our instinctual nature; his human half with our spirit, the “reasoning” man separate from other beasts, closer in likeness to a god/God. Chiron’s duality speaks to me of grounded spirituality. We need to gallop the earth with our heads still in tune to the stars, to the energy and cycles of Spirit and the rhythms of the living Gaia. It’s our job to bring heaven to earth and earth to heaven, why we were given a big brain to work with and a spirit as free as a wild stallion. As a child, I was told that like a wild horse, my spirit needed to be broken. Although I was wounded by those attempts, my spirit remained strong, and eventually I came to realize that it was the one part of me that could never be owned by another. 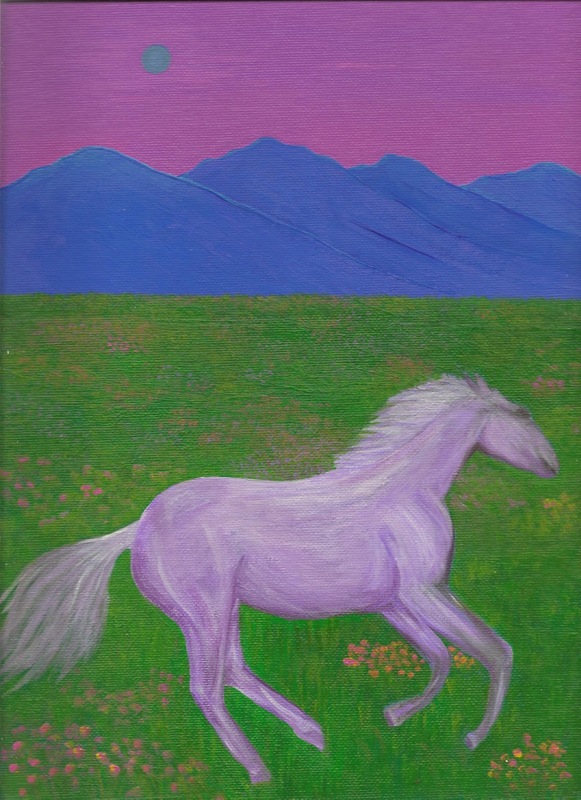 A wild horse galloping in an endless field seems like an appropriate metaphor for freedom of mind and heart, along with a boundless spirit; hence the title, "Wild At Heart". This also goes along with my belief that God never tries to break our will. Instead he asks only that we willingly give ourselves over to the greater divine will. Now that you’ve heard my thoughts on the subject, I’d love to hear your ideas on why Chiron had to be a centaur—half horse. I suspect there’s a hint in those classic Westerns with a happy ending. The hero rides off into the sunset on a horse. Photo Credit: “Wild at Heart” © June 1997 by LBerry. Prints available. Contact Joyce if interested. Thanks to Janet Boyer who’s eclectic site—janetboyer.com--introduced me to the work of Linda Kohanov, author, speaker, riding instructor and horse trainer who has become an internationally- recognized innovator in the field of Equine Experiential Learning and a respected writer on the subject of Equine Facilitated Psychotherapy. Linda’s site, Epona Equestrian Services, explores the potential of human/horse relationships. The Chiron Resonance Quiz: What’s Your Chi-Res Score? 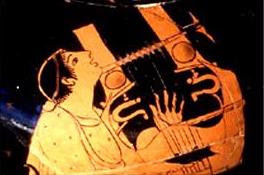 that Chiron played and taught others how to play. 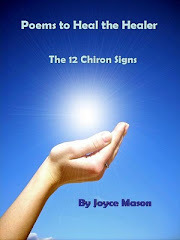 Overnight, The Chiron Quiz: How Strong Is Your Chiron became the most visited post on my blog ever. I already knew quizzes were popular, but reader response was overwhelming! It’s clear you’re eager to learn more about Chiron—and what Chiron means to you. My “Chi-Q” Quiz was modeled after Donna Cunningham’s tests on the strength of various planets. (Thank you, again, Donna, for encouraging me to get quizzical.) I was eager to place Chiron in the mix so we could each assess Chiron’s personal prominence, especially in relation to the outer planets: Uranus, Neptune and Pluto. Since Chiron orbits between Saturn and Uranus, creating a bridge to the far outers, it offers us a conduit for handling our own outerplanetary energies that constantly demand deep change from us. The Chi-Q Quiz parallels the idea behind an IQ test where the Chiron’s signature in your chart (sign, house, aspects) is an indicator of your potential and path for expressing Chiron’s multiple meanings. However, it occurred to me that there’s another strong parallel—that’s to Emotional Intelligence or EI as put forth in the popular book of the same name by author Daniel Golman and many others. Emotional intelligence is a popular area of research today in the field of psychology. Emotional intelligence (EI) is "the ability to monitor one's own and others' feelings and emotions, to discriminate among them and to use this information to guide one's thinking and actions." Continuing the parallels, Chi-Q assesses your Chironic potential. Chi-Res—the test you have the opportunity to take next in this post—is primarily about your emotional response to, and identification with, those things that are associated with Chiron. Once you know your Chironic characteristics, you can consider your response to this information and how it might guide your thinking and actions. We all know people who are extremely intelligent yet have no “horse sense.” We are often reminded that as humans, we use only a fraction of our mental resources. I have known people with so-called developmental disabilities, supposedly “slow,” who understand the important things in life better than some folks who qualify for Mensa. You could have a Chi-Q score of only 25, but if you strongly identify with the principles associated with Chiron, you may be more Chironic than a person with a Chi-Q of 65 who hasn’t connected yet to Chiron in a major way. Why? Because you are using, or at minimum, feeling the presence of the archetype of Chiron. You have used Chiron’s skeleton key glyph to open the door to his teachings in your life. 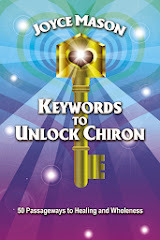 The Chi-Q speaks to Chironic potential; the Chi-Res measures how you’re connecting with the Chiron archetype in your inner and outer life. The real purpose of both these tests is to help you get to know your Chiron better and what Chiron means to you. The Chi-Res test is more subjective, yet it may actually be a better indicator of how Chiron works for you. Highest possible score is 400. * This wide moderate range assumes scores will fall in a normal bell curve. With such a high point range in the middle, it makes sense to subcategorize. Let's call 62-100 low moderate, up to 101-200 mid-moderate, and up to 201-320 high moderate. Here are some suggestions for putting this information to work for you. 1. Compare Your Chi-Q and Chi-Res quiz results. Are they similar in quality—both moderate, both high—or are they dissimilar (one low, one high). Contemplate what that means for you. Do you have more Chironic potential than you’re expressing? Conversely, are you maximizing the Chironic potential these tests light up? 3. Participate in research. If you’d like to be part of the research for my book in progress, please contact me with “Chiron research” in the header. This will involve sharing your birth data, Chi-Q and Chi-Res scores, and personal information that exemplifies how Chiron works in your life. Your identity will be kept confidential. Remember, your Chi-Q is fixed at birth with your Chiron configuration in your natal chart. It is a map of how Chiron can potentially work for you. However, your Chi-Res or Chiron Resonance is fluid. You could take this quiz at various times in your life and probably come out with a considerably different score. Some things will stay the same, like whether or not you have a physical disability, but others will vary as you accumulate Chironic experiences and identification with Chiron's wholemaking role. The Chi-Res quiz shows how you relate to Chironic principles at this time. I look forward to your comments and hearing how the two quizzes compare for making Chiron more personal and accessible. Your feedback will help me refine the quizzes and to make them more helpful for others in the future. Aries: To love and win is the best thing. To love and lose, the next best. Taurus: Too much of a good thing can be wonderful! Gemini: I am neither especially clever nor especially gifted. I am only very, very curious. Leave it with a pure heart until you find your way to it again. Leo: Adults are obsolete children. Virgo: From a drop of water a logician could predict an Atlantic or a Niagara. I don't believe in astrology; I'm a Sagittarius and we're skeptical. Libra: Strike an average between what a woman thinks of her husband a month before she marries him and what she thinks of him a year afterward, and you will have the truth about him. Scorpio: Secrecy is the element of all goodness; even virtue, even beauty is mysterious. Sagittarius: It's an indulgence to sit in a room and discuss your beliefs as if they were a juicy piece of gossip. Capricorn: A businessman is a hybrid of a dancer and a calculator. Aquarius: Trusting your individual uniqueness challenges you to lay yourself open. Pisces: Faith is a passionate intuition. Want More Quotes? 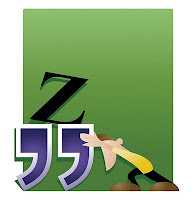 Plug quotes + signs in the search box in the sidebar to pull up all the previous Quotes for the Signs posts. Please join The Radical Virgo in celebrating its 100th post! 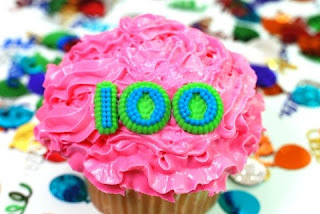 Born on Spring Equinox 2009, this blog grew quickly into a Top 20 regular among the 100 sites followed by PostRank, reaching as high as #4 on several occasions. Thank you for your support—past, present and future. It’s your enthusiastic response to what I write here that encourages me to keep doing what I do. Meanwhile, have The Radical “Virgin” of dessert—a virtual cupcake. No calories! No ill health effects, only fun. Virgo sextiles Cancer, the Moon’s “natural” sign—a harmonizing relationship. There’s an easy way to capture the Moon and all its gifts—if you own a Virgo Moon yourself or if you’re just enjoying a walk under the Virgo New Moon with the rest of us this month. How do you capture the Moon? By hand. T he sign of Virgo is often clairkinetic. 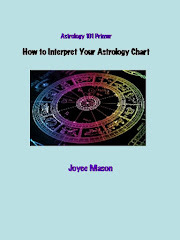 People with key planets in Virgo often pick up psychic information with their hands and fingers. That’s why you’d always see Adrian Monk, a consummate Virgo archetype, do that “funny thing” with his hands at a crime scene. Virgos are drawn to occupations that involve the use of their hands—writing, editing, cleaning, nursing, accounting—because their hands hold their emotional intelligence. Virgos can feel their blood circulating. That’s about it. When I stopped laughing, I realized the profundity of what Gregg was saying. The Virgo sensitivity is so heightened; that’s why we seem like a bunch hypochondriacs. We’re not imagining we’re sick; we’re just hypersensitive. We feel things more acutely. Imagine that on your Moon. Imagine the pressure to get it right and to feel all right. Clairkinetic or Sensing Clearly is the power to “sense” other dimensions; is essentially what we mean when we say “I had a hunch” or “It's a gut feel." It's when you're overcome with a physical sensation and you can't explain it, all you can say is "I just know." There are many sensitive Moon signs, the water Moons (Cancer, Scorpio, Pisces) foremost. I put Virgo Moon right up there with them. Virgo Moons feel their emotions in their body. This can be both a blessing and a curse. One key word for a sextile—back to Virgo’s sextile to the Moon’s natural placement in Cancer—is provides structure for. Virgo Moon is like Cancer Moon with a container “built in.” The container is the body itself. Of course, everyone’s emotions reside in their body. Virgo is just hyper aware of it, making the container even sensitive to itself. Feelings and body are one. Sometimes that makes it not so easy to live there. The sensation of carrying your emotions pulsing in your body and to function well at the same time means keeping your physical vehicle clean, organized, and efficient. This is how Virgo Moon lives. When Virgo Moon isn’t comfortable in his or her own skin, that’s when the nervous twitching starts, along with digestive problems—and dare I mention, neuroses? Recently I’ve interacted often with a Virgo Moon friend I hadn’t seen in a long time. I am exhausted. If she wears me out, I can’t imagine what it must be to live in the center of that chronic worry and fretting 24/7. The evolution of that energy is to trust utterly your feelings. Then there’s nothing to worry about, because your body is giving you biofeedback for every decision you need to make and direction you need to travel. In a little bit, we’ll talk more about the upside of the Virgo Moon, in the usual Radical Virgo way. Meanwhile, let’s take a look at the Virgo Moon that’s the opening act to our next lunar month’s manifestations. Continuing my precedent of observing the moment of the New Moon from San Francisco, capital of the Left Coast: I note that this Sun/Moon conjunction and new starting point for the lunar month spells a certain relief. 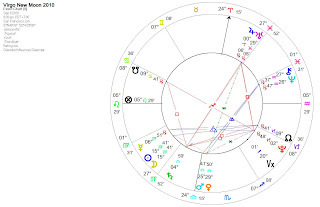 There are no aspects to the Virgo Sun and Moon by the Cardinal Grand Cross. Whew! A reprieve? A breather? Let’s not get too excited. The New Moon is widely conjunct to Mercury in retrograde. While I’m not sure that colors it in dark crayon from 9°, let’s not forget that Mercury Rx is still in Virgin territory. Mercury Retrograde invites us to review, revise, reconsider—and, in general, to go inside ourselves to contemplate what’s happening from an inner perspective. 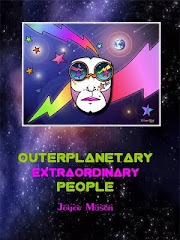 As you can only imagine, people with Virgo Moons already spend enough time there and may balk. They should still do it along with the rest of us. The non-VMs can tune up their sensations and get a glimpse of how the other twelfth lives. Not only that, you can experience the Virgo Moon gift, an internal barometer that let’s you know how to proceed or not on most anything you’re involved in or considering. It reminds me of the sign a very metaphysical friend had on her office door, “Inquire Within.” Yes. This is a month for it, more than usual. If Virgo is a communicative Earth sign, time to get into your personal chunk of earth, your body, and have a confab with yourself. You’re wiser than you know! 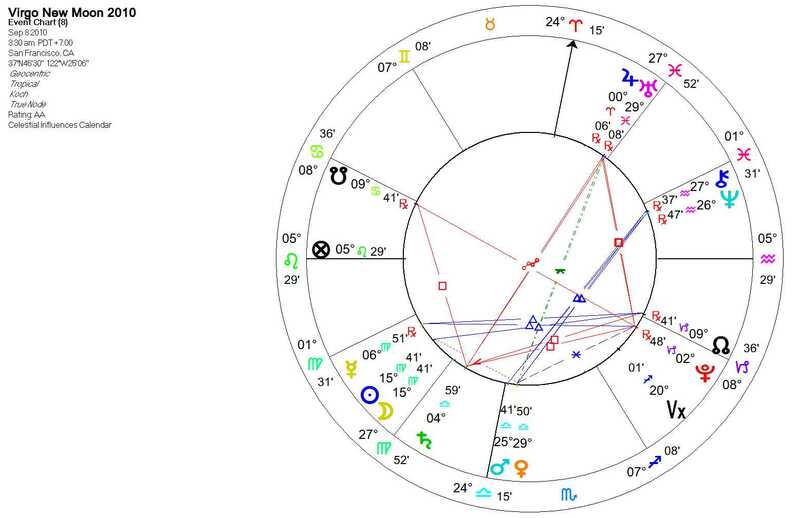 The only major aspect to the New Moon is a trine to the North Node, a trine that’s even closer to Mercury Rx. My take on this? As long as you work on the quieter rewrite, redo, reconsider things Mercury Retrograde calls for, you’re likely to harvest a true sense of accomplishment by the next New Moon in Libra. Ignore the swift messenger’s call for activities that, literally, aren’t so swift this month because of the opening Mercury Retrograde? It’ll be just as easy to reap accomplishment disaster—the reminder that “disaster” means against the stars. I honor Mercury during every retrograde cycle with a photo of the winged messenger on my altar. Paying homage does help avoid the disaster, but you’ve got to be willing to shift into reverse with him, too. The last Jupiter/Uranus conjunction (in February 1997 at 6 Aquarius ~Anne.W.) was in my 5th house. I was 43. Had already raised 4 children, youngest was 17. Both of my daughters experienced sudden unexpected pregnancies within 8 weeks of each other and of course I thought, “This is the transit”…3 months later I found myself pregnant against all odds. So, I have a daughter the same age as 2 of my grandchildren. In sharing this example, Anne said, Talk about unexpected! She was definitely my Uranian “twist.” Anything is possible! • How will I serve? • How will I take care of my health? 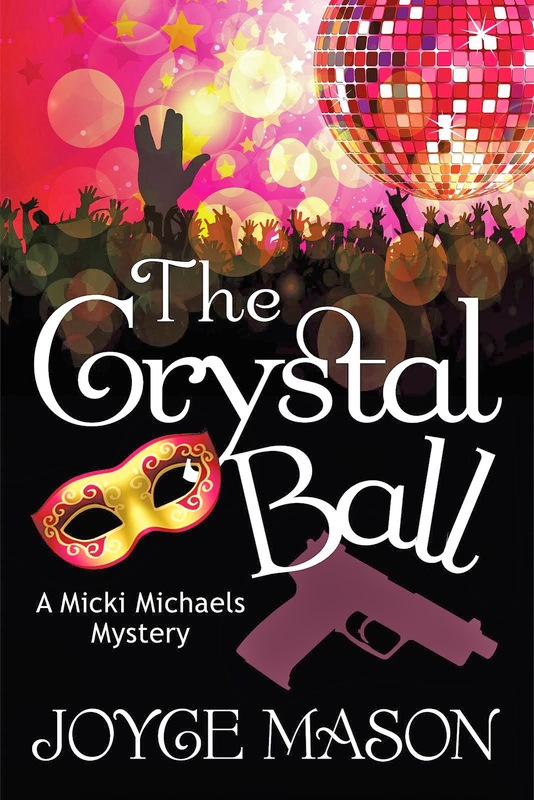 • How will I cleanse body, mind, thoughts, work space—whatever area of my life that needs it? • How will I use my hands? • How will I synthesize information? 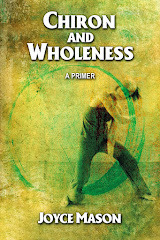 • How will I find what is healthy and whole in all situations? • Am I willing to discard all the rest? If yes, how? • How will I practice Annunciation—the moment when Mary, the ultimate Radical Virgo, accepted the mysterious role of birthing the Christ? She said a no-holds-barred yes, totally trusting Spirit to work out the details of her unusual, and to the less faithful, unbelievable assignment. In this vein, how will I bring light into the world and trust how the Ultimate Creativity works through me this month? • Play the piano, guitar, or any instrument with your hands and feel the music in your body. This is the best of the Virgo/Pisces continuum, the abandon of the music playing through you and the precision of the Virgo mind to master the mechanics of the notes and finger placements. • Get in better touch with your body-mind connection. One way to do this is to read the wonderful book by Dr. Elson Haas, Staying Healthy with the Seasons . Find the optimal fuel for yourself at this time of year. Slowly switch your diet and carefully observe and journal, if possible, your bodily reaction to this “purification.” How does it impact your bodily sensations? • If you’re already a Virgo Moon, the next suggestion will be easy. If not, you’re going to impersonate a VM (that’s Virgo Moon, not Virgin Mary). Sit quietly for at least 10 minutes. Feel your blood pulse. Tune into your heartbeat. Imagine your various bodily functions, including slow breathing and air exchange. What do you feel? How does this intensified awareness of your body feel? Journal the results. Go outside, form your fingers in two slightly separated semi-circles, and raise them so you can see the Moon through your fingers, framing it. 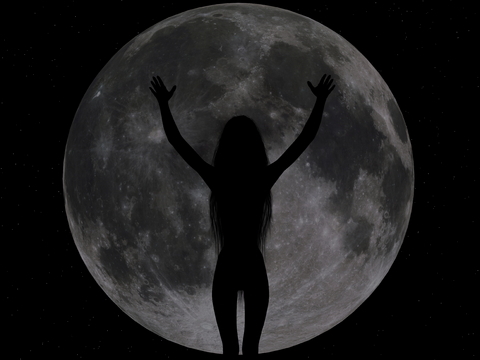 Now you’ve got the visual to go along with this month’s message about touching the Moon. May it touch you back. Radical Reminders: Last Days of Special Summer Savings! Personal consultations are $25 off through Labor Day, Sept. 6. Purchase by this date to receive the discount, even if we actually do the reading later. Don’t miss another New Moongram! My monthly newsletter, the New Moongram, complements this Moonwalk series and contains all the behind-the-scenes news at The Radical Virgo. As of Sept. 7, it’s the only vehicle for regular discounts on services and publications. Request a sample here. Sign up on the top of the sidebar. You’ll be glad you did, especially for the monthly New Moon mini-meditation, discussion of the Moon’s Sabian symbol and other surprises.